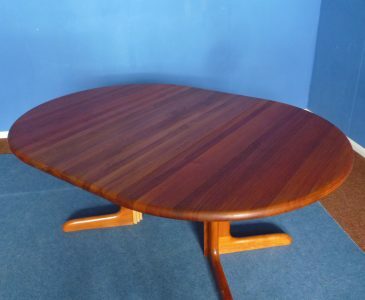 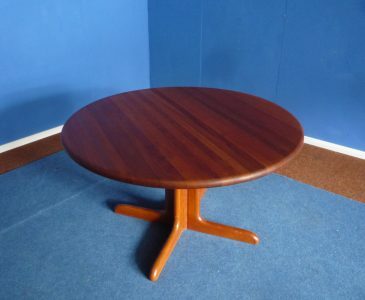 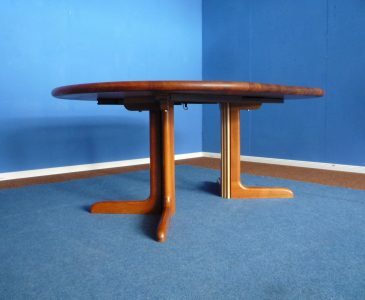 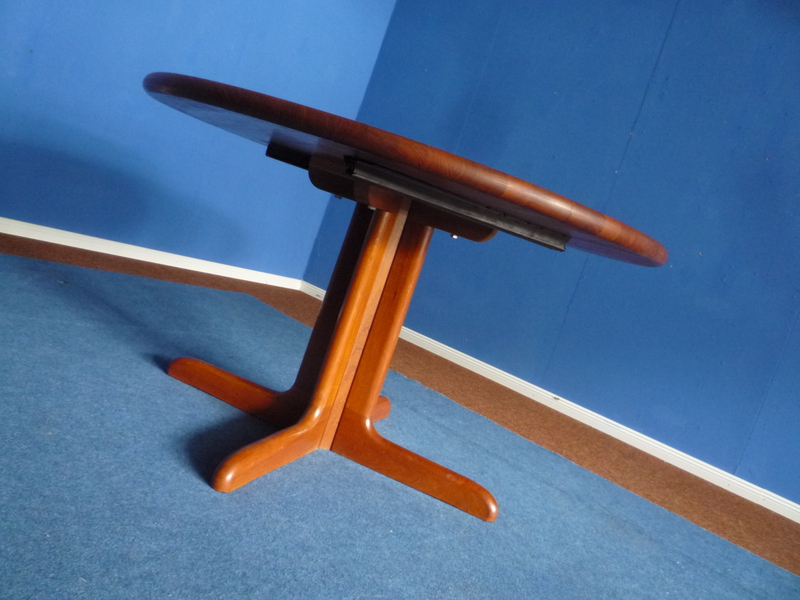 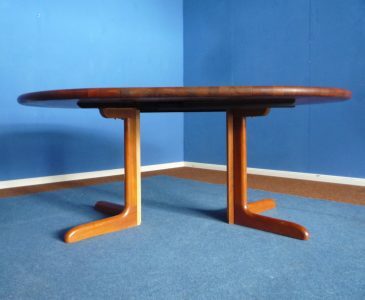 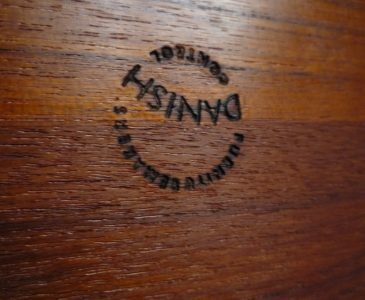 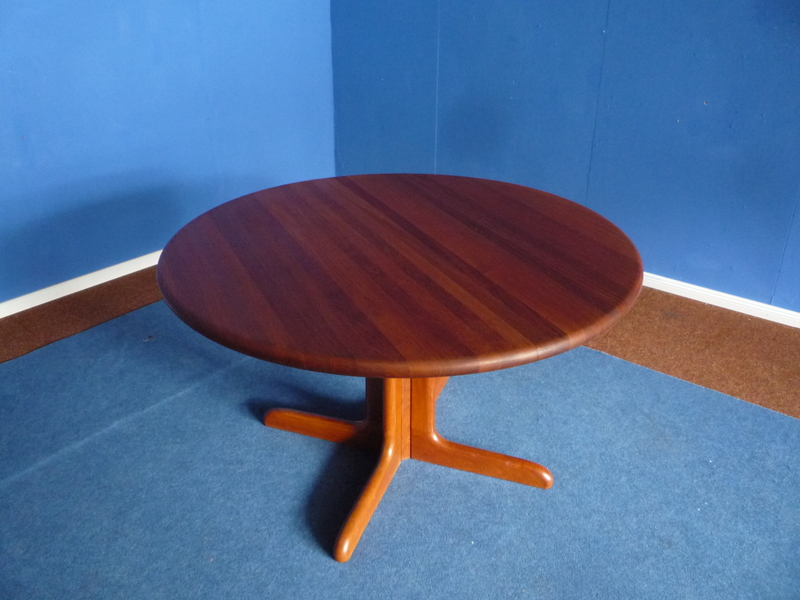 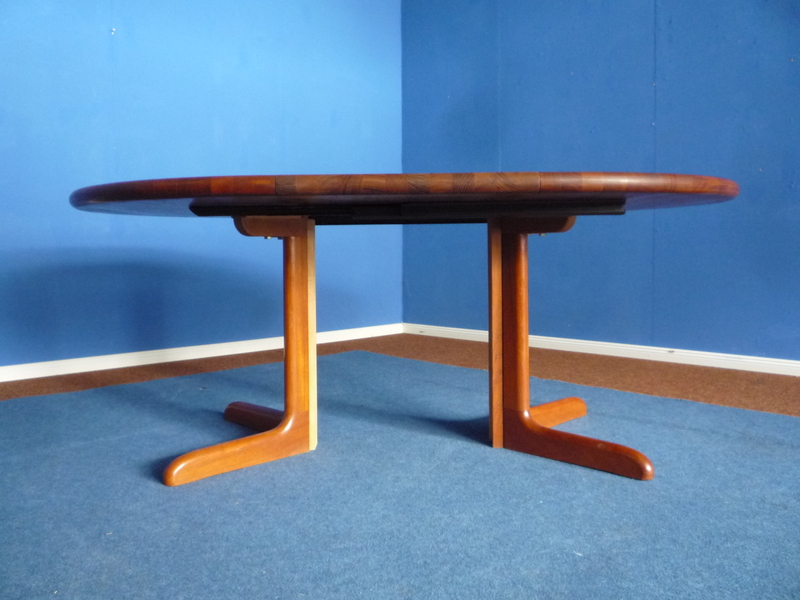 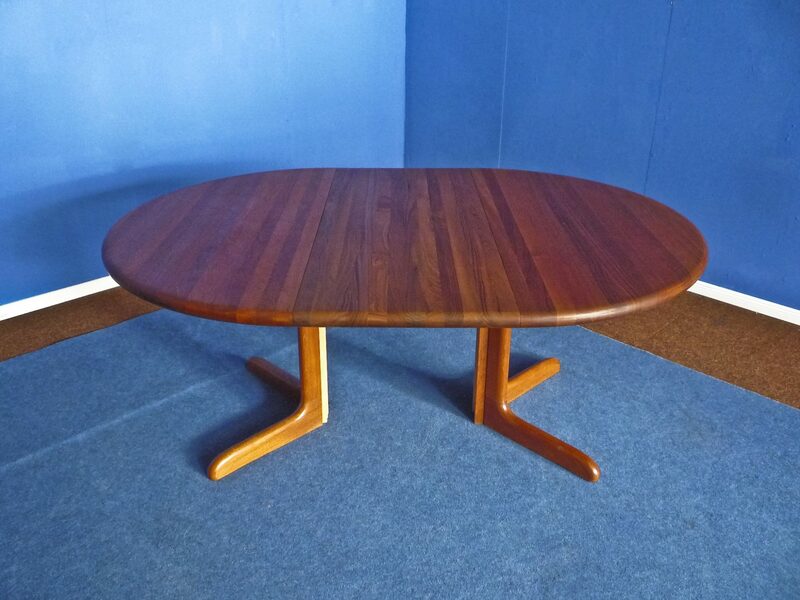 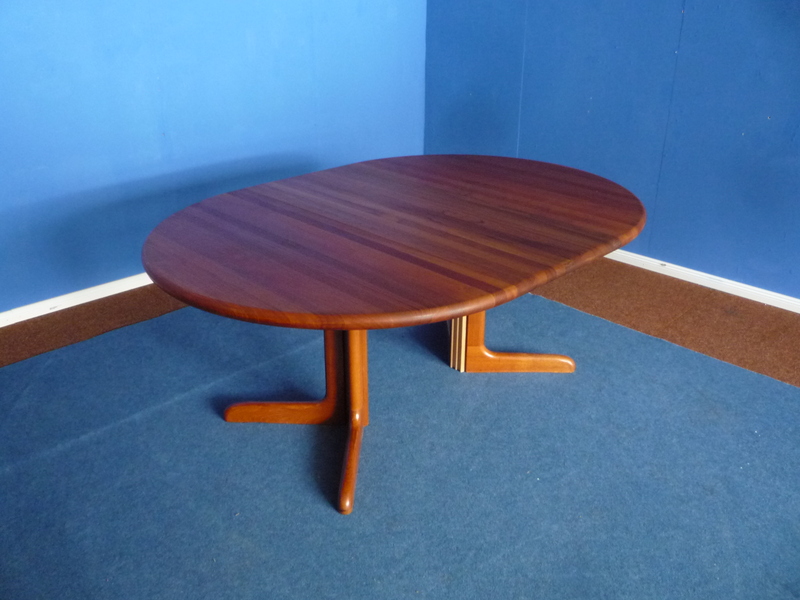 Very nice teak dining table Made in Denmark. First-hand and bought in the 60s. 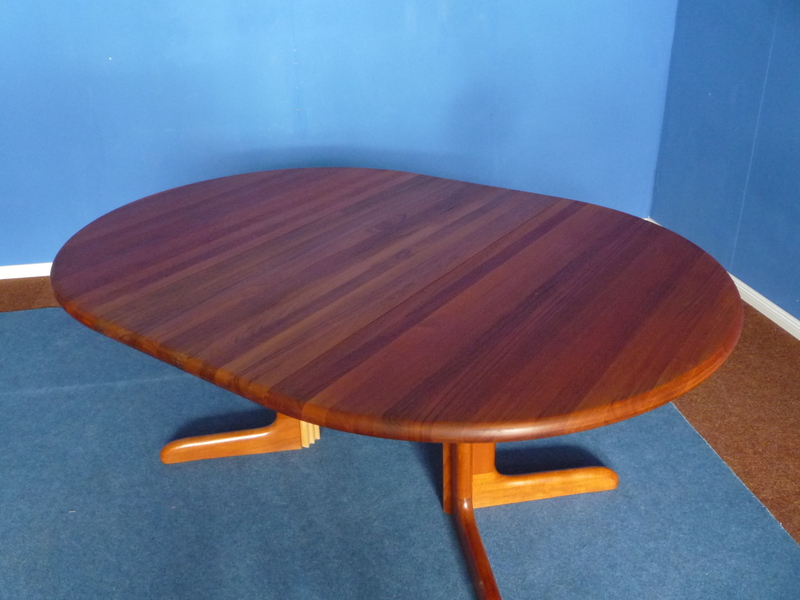 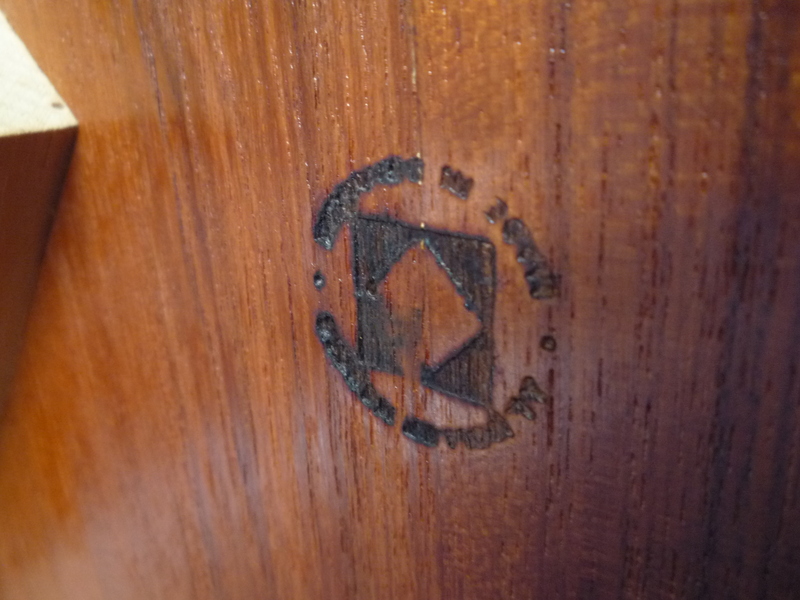 High quality processed or solid teak. 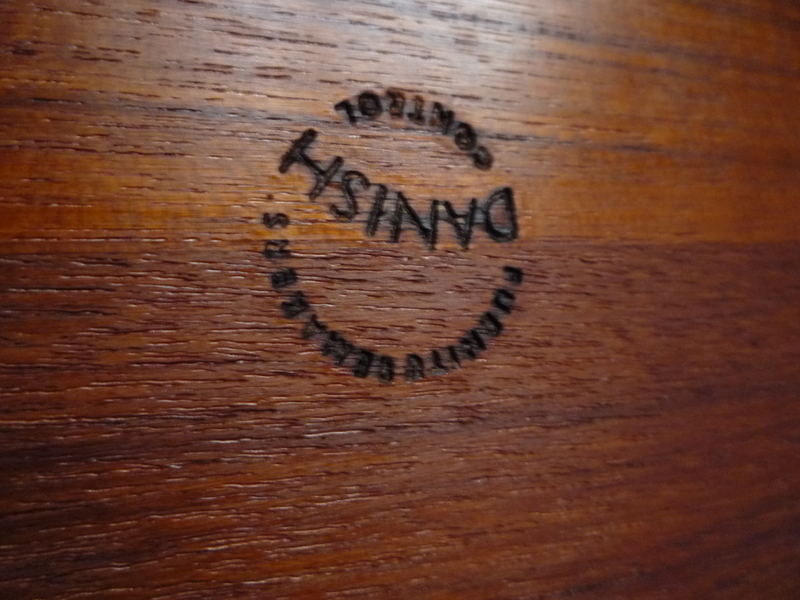 With insert plate. 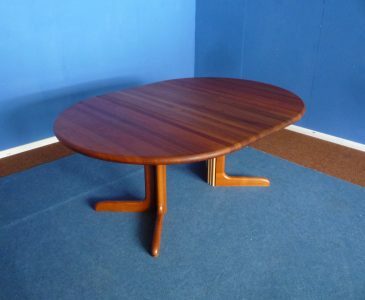 Suitable for 8 to 10 people. 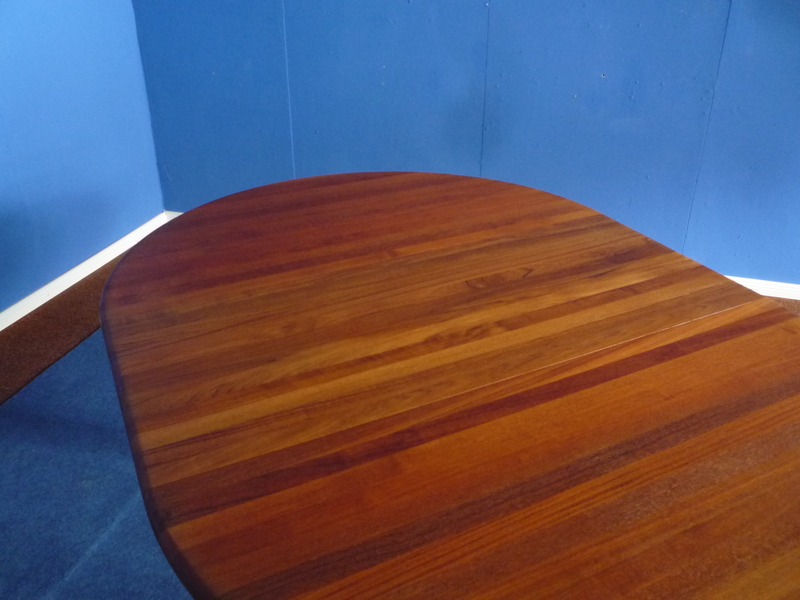 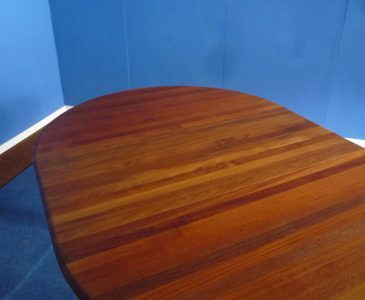 The massive teak tabletop has been restored. 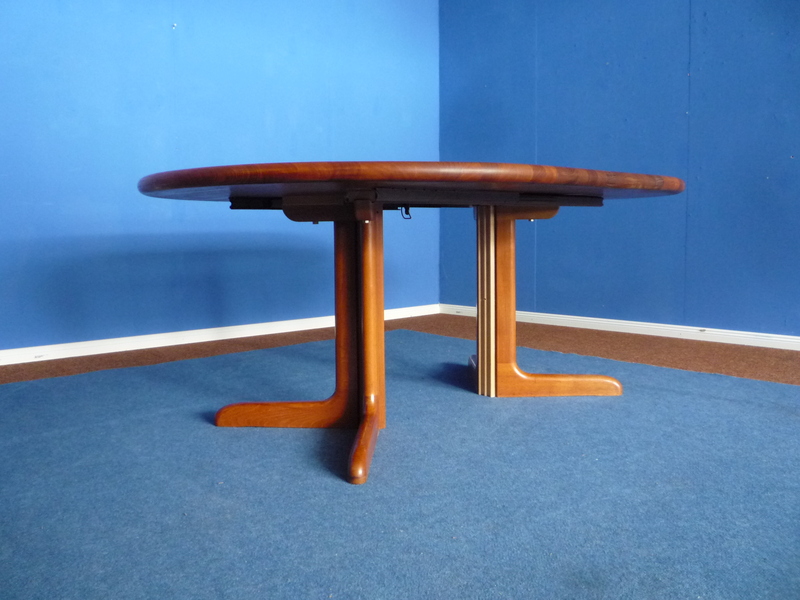 The dining table is complete, very stable and clean.